Iran plans to take delivery of three more Airbus planes by the end of the current Iranian year (March 21, 2018 – March 20, 2019) in a major deal that it signed with the European aviation giant in December 2016, a lawmaker said. 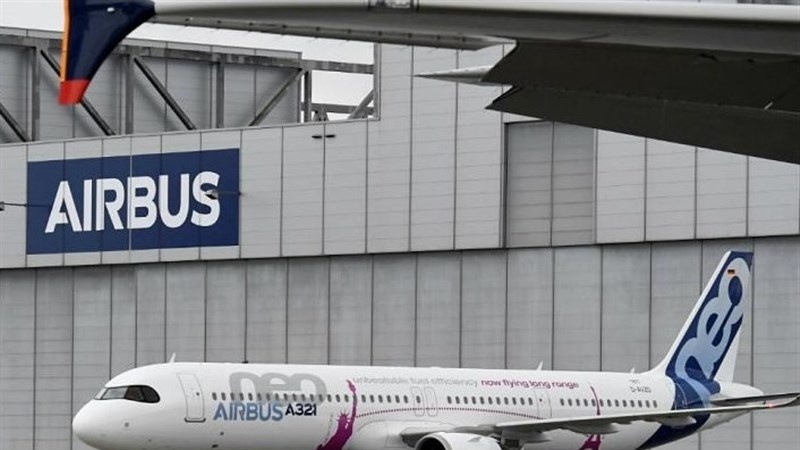 Speaking to the Tasnim news agency, the Spokesman for the Iranian Parliament’s Civil Commission, Sodeif Badri, said Iran has signed an agreement with Airbus to purchase 100 passenger aircraft. So far, the company has delivered three of them, he said, adding that Iran is to receive three more airplanes from the European aircraft manufacturer by the end of the current Iranian year. Badri also pointed to another major deal between Iran and Boeing and said the American company has not remained committed to its deal since the US move to leave the 2015 nuclear deal, also known as the Joint Comprehensive Plan of Action (JCPOA). The lawmaker said Boeing is not going to deliver any aircraft to the Islamic Republic. Washington’s decision to withdraw from the JCPOA and reinstate sanctions signals the collapse of about $38 billion in plane deals between Tehran and Western firms, with Airbus facing greater risks than its US rival Boeing, people involved in the deals say. IranAir, the national flag carrier, had ordered 200 passenger aircraft, with 100 from Airbus, 80 from Boeing (BA.N) and 20 from ATR. All the deals are dependent on US license because of the heavy use of American parts in the planes. In a speech from the White House on May 8, US President Donald Trump pulled his country out of the JCPOA, which was achieved in Vienna in 2015 after years of negotiations among Iran and the 5+1 group (Russia, China, the US, Britain, France and Germany). Leader of the Islamic Revolution Ayatollah Seyyed Ali Khamenei has underlined that any decision to keep the JCPOA running without the US should be conditional on “practical guarantees” from the three European parties to the deal.